Here is show and tell from the most recent Vintage Design Group session. We have an ongoing project to make a medallion quilt, adding a border per month. Or whatever. I need to go over the center drawing a bit to darken it once I get a thicker-tip Pigma pen. This is supposed to be an 1805 quilt, all faded and stained, but it is getting brighter in spite of myself. I might have to start daubing it with bleach and driving the car over it a few times to improve it. Got the idea from Marcie driving over her cell phone :-). The Group has enticing future assignments as well, such as bringing in a completed UFO (how to choose from the Vast Multitude), and choosing an inspiration antique quilt for a project (again, how on earth to choose). 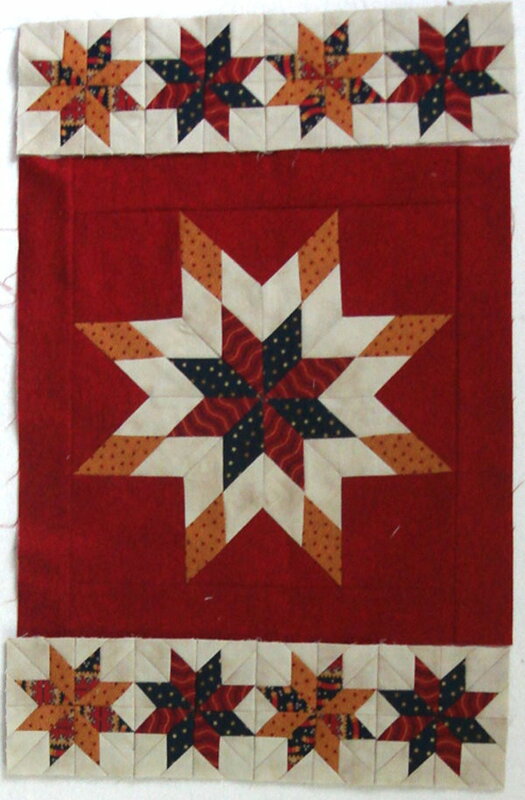 I've thought for a week or so that I might want to make a wall hanging version of the Civil War potholder (quilt as you go) quilts that are described in Civil War Quilts but now I don't know. A Bountiful Life quilt for the Kansas City booth at Spring Market and the five quilts for the Kansas City Star Authors display at same have safely arrived in Kansas (thank you, Donna!). Sigh, Rembrandt has taken to disappearing when the camera comes out. The camera appearance even wakes him up. Hey, Rembrandt! I'm going to do another book for Kansas City Star! I'm going crazy with enthusiasm working on it. See how thrilled he is. I've been watching Easter Parade over and over since it was shown at, well, Easter, completely captivated by the song and dance, and the chemistry between Fred Astaire and Judy Garland. I didn't realize this was the only time they worked together. What a loss that they did not do more movies as a team. This led to picking up two Fred Astaire biographies and his autobiography at the library yesterday. Then early this morning, I was looking for the earliest video clips of Judy Garland on youtube. Okay, gotta get ready to work at LQS. Wow. Those are some beautiful quilts from the group. What a fun group this must be! I love your quilt you are working on. Love the center. Got a kick out of your idea to drive your car over it a few times to age it. And wasn't Marcie's story of her phone a hoot! I want to be a member of your group. Maybe some of the creativity will rub off on me. I am especially attracted to the first piece with the baskets. Your medallion is coming along so well. It features your artistic talents in such a good way. Not something I could do. I would like to have even half of your drawing abilities. You are one busy lady. Working and another book and creating quilts. WOW...what a group!! What gorgeous quilts...especially like the basket quilt...it sings to me! 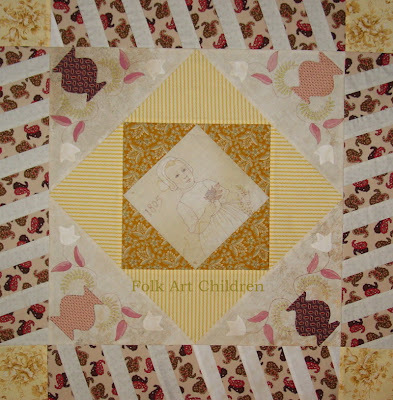 Love the quilts from your group! 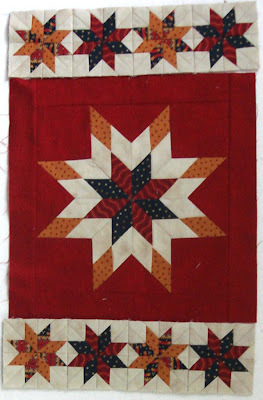 How is Civil War Quilts? I haven't seen any reviews or comments about it yet. Lovely show and tell!! Thanks for sharing. I wish there was a group like yours in my area! The quilts are always wonderful and members must really inspire one another. Have you thought about spraying your piece with Distress It to tone it down and make it look old? Don't you dare run over that quilt with the car! Tire tracks do not achieve the look you are going for! They sure didn't help my cell phone! Your quilt is over the top wonderful. Love the illustration. 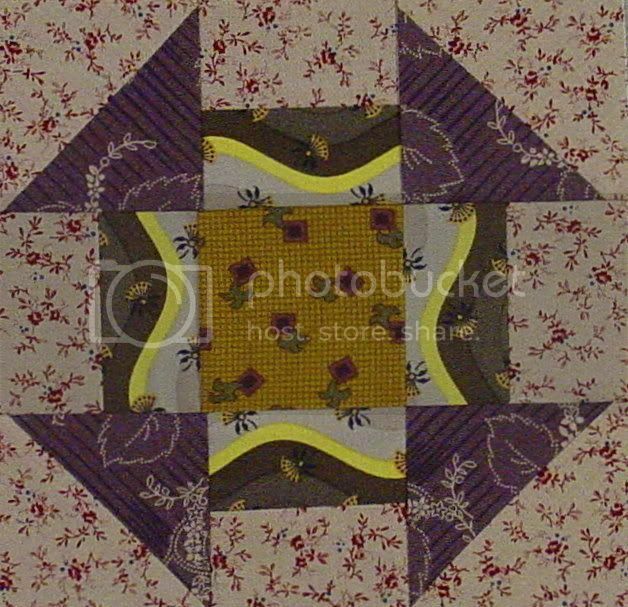 Lovely quilts--all of them!